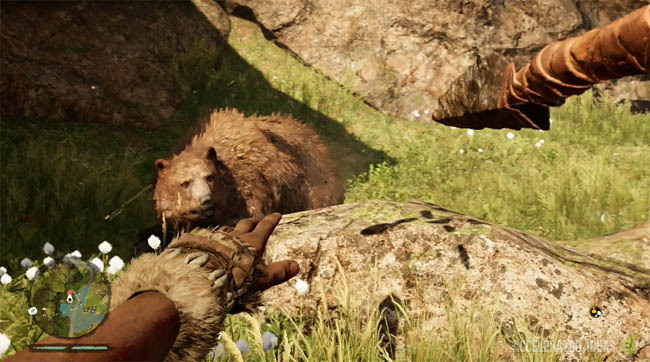 There are many different types of animals in Far Cry Primal but only 17 of these can actually be tamed by the player. In this post I'll show you exactly where to find each of the animals and I'll include a list of which animals are tameable. 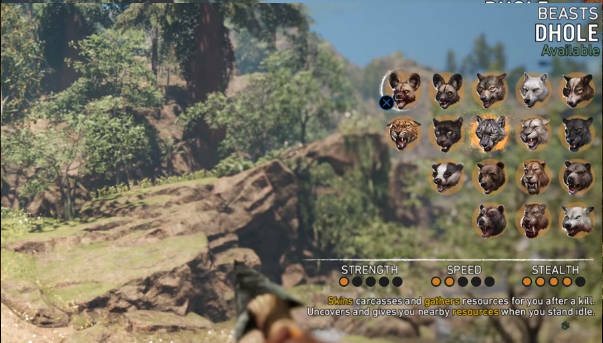 Like other Far Cry games, you will encounter new animals as you explore additional regions of the map. Some of the rarest animals can only be found in the remote areas of the map and the likelihood of finding them is small. Common animals have a shorter spawn time and you will come across them more often. Whatever the case, all animals follow spawn rules so as long as you stay within the known vicinity for a particular animal it will appear sooner or later. Just be patient and roam around within a tight radius. 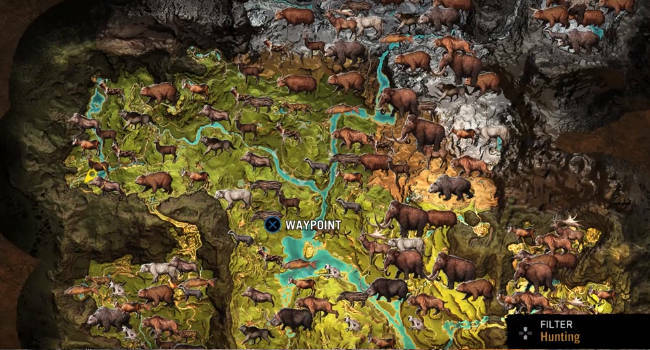 In general, I found that Bears and Dholes were evenly spread throughout the map, possibly with more in the North and East. Mammoths were certainly more common in the East and North. Jaguars and cats were found in the North and Center, usually where forests were abundant. Before you can tame animals you must have the appopriate taming skill. There are several of these, relating the type of animals you can tame. You'll need more skill points to unlock higher level taming skills and thus befriend the most powerful animals in the game. In the open world you tame an animal by switching to hunter vision, throwing bait in it's direction and then waiting. Finally the tame button (square on PS4) can be used to tame the creature. Players should note that three of the animals listed below cannot be tamed through regular taming. Instead, you have to complete the Beastmaster side quests to unlock each of them. I will include details for this soon. 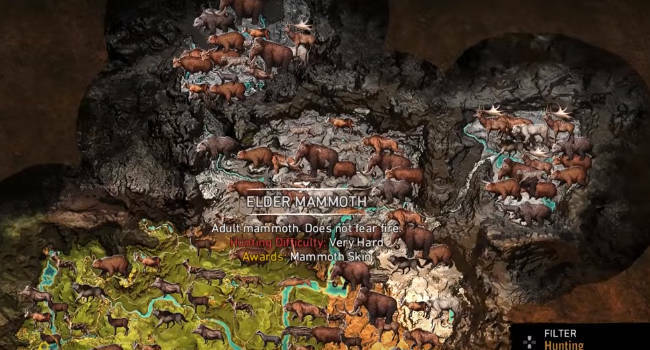 The following three maps show you all of the animal locations in Far Cry Primal. Note the different environments which range from lush forest in the west and centre. Snow in the North and East and caves surrounding the map perimeters. This classic animal has been included in many Far Cry games. He will skin carcusses for you automatically and even collect resources when he's idle. What he won't do is actually kill anyone. Similar to the regular DHole with a slight boost to strength. This animal does exactly the same tricks but he is also fire resistant making him slightly better vs enemies armed with fire weapons. A stealthy companion, the wolf will warn you of nearby enemies and even reveal a large chunk of the map (and mini-map) for you. He has little strength but is fast and quite stealthy. Location: All areas, especially at night. Exactly the same as the standard wolf but has additional strength. Exactly the same as the standard wolf but has additional strength and is also resistant to fire. The first of the truly aggressive animals, the Jaguar will attack enemies without alerting nearby enemies. He is very fast and incredibly steathy, making him one of the most desirable animals to tame. Location: West and South of world map. Same as the standard Jaguar but comes with resistance to fire and a slight boost to strength. This little guy will automatically tag enemies for you, helping you plan your attack before going in for a outpost capture. Tagged enemies also appear on the mini-map. He is stronger than the Jaguar but not quite as stealthy. Location: Northern half of Oros. The Cave Lion is a good all rounder who will tag enemies for you in a small radius. Similar to the Cave Lion, The Black Lion will tag nearby animals within a small radius and he is also resistant to fire. Location: Throughout Oros, usually in the same place as other Cave Lions. The badger is a well known animal in the Far Cry series. 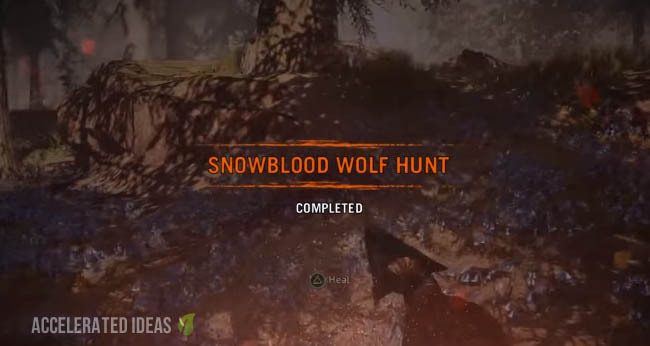 In particular it was truly terrifying in Far Cry 4, forcing even pro players to run for their life! In Primal, this animal lives up to it's name because it can revive itself from death (only once), it will also terrify all wildlife and is immune to poison. Having all these powers comes with a drawback though and the badger's is it's slow speed. Location: West and South forests of Oros. The Brown Bear is a tough customer who will collect nearby resources for you automatically (when you stand idle) and he even draws in enemy attacks during battle. This gives you time to sneak through a camp or concentrate on weaker enemies or the alarm caller. This animal is Ridable if you have the rider skill. the Sabretooth Tiger is the fastest predator in the game and as luck would have it he is also ridable! Location: Northern region of Oros. Location: Beast Master Hunt quest. Possibly the best predator in the game, this Sabretooth is faster than the regular version, with a rating of 5/5 for both Speed and Strength. A much stronger version of the standard wolf but with similar characteristics. This guy will reveal terrain for you and growl when enemies are nearby.